Implement total quality management and achieve a zero defect rate at a production facility operating some 160 machining centres, including single and multi-spindle machines as well as multi-axis machines and automated rotary transfer machines. Given the vast range of metal finishing processes being undertaken at the plant, Leibold needed a CNC system capable of handling sophisticated workpiece geometries and delivering incredible accuracy. But, at the same time, a system that was flexible enough to operate on a huge range of machines and could be quickly adapted to meet new orders. Long-term experience of FANUC products at the plant, made FANUC CNCs the obvious choice. 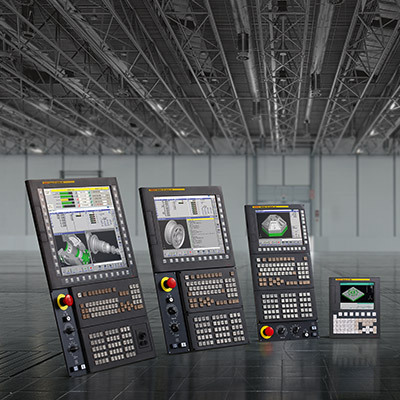 Despite having different generations of machines on the shop floor, thanks to FANUC’s philosophy of developing controls to be upwardly compatible even Leibold’s older NC programs can be run on the new machines. Ultimately, whatever the process, the payoff is huge consistency across the shop floor. The company Leibold & Amann has been producing turned parts with the highest precision for decades. Very early on, it committed itself to Total Quality Management and today is striving for zero defects. In this, quality assurance and manufacturing are converging more and more, whereby the individual components play vital roles: Leibold & Amann can always depend on its partners Star Micronics and FANUC. Anyone who wants to be successful as a manufacturer of precision parts these days must fulfil multiple criteria: Work piece geometries are becoming ever more sophisticated, amid increased quality standards; as for lot sizes, suppliers must be flexible and in most cases deliver "just-in-time". Many customers also seek guidance and joint development from their suppliers, from the initial idea phase, right down to start of production. Leibold & Amann in Wellendingen-Wilflingen is an example of a supplier company that has grown with its responsibilities and has reached an exemplary high level of performance. For years, this specialist for precision turned parts has been listed as a preferred supplier by top automotive OEMs and their supplier industries and has received several awards, such as the ZF Group's Supplier Award recently in November 2011. Thanks to its depth in manufacturing, Leibold & Amann is prepared to handle all customer requests: The company can deliver small or large lot sizes – from 52 million units – complex or basic work pieces, the size of a pin or up to 1 m long, in virtually any desired quality. The basis for this includes dedicated, well-trained staff, who have internalised the quality philosophy over several years, and an array of machinery that allows for enables economical production of precision parts. Michael Leibold, who has overall responsibility for Production Technology, explains: "We were one of the first companies in the precision technology field to incorporate the requirements of Total Quality Management in our corporate philosophy. Combining manufacture and quality assurance was one of the most important challenges in systematically introducing our quality structure." The results are obvious by taking a look into in the production facility. CAQ measuring stations in every machine group are a consistent expression of our commitment to quality management. These measurement stations, incorporated in the manufacturing process in order to precisely verify and document the manufactured quality at defined intervals according to a measurement plan and using the proper measurement equipment, guarantee a very high level of quality. But first you have to produce the quality. Michael Leibold says: "For economic production, precision parts and assemblies must be specifically manufactured according to their geometry and lot size. Because we never wanted to be come a specialist for group of parts, we decided to build up several areas of production. As a result, today we can offer the most economical method of production for any work piece." The range of machinery over 10,000 m² is very impressive indeed: The majority of the roughly 160 machines involved milling operations – primarily single spindle, but also ten multi spindle machines, as well as some multi-axis machines and automated rotary transfer machines. These are flanked by a grinding department that covers machining methods such as plunge-cuts, through-feeds and contour grinding. Leibold & Amann is equipped even for various metal finishing steps: The range includes lapping, owning, sandblasting, glass bead blasting, inductive hardening, heat treatment, as well as service treatment. The predominant machinery manufacturer is the company Micronics from Neuenbürg. This partnership has proven itself for many years, along with the good relationship to the control and drive manufacturer, FANUC, which had equipped the first CNC -controlled turning machine acquired by Leibold & Amann in 1984. Throughout the years, confidence grew in FANUC products, its service, and also in the consistency of the company, which is why the precision turning operations have remained loyal to this partner. Michael Leibold confirms: "In FANUC we definitely have a competent, fair and consistent partner." Thus, on the different machine generations there are also control models of all ages, right down to the latest CNCs. Because it is FANUC's philosophy to develop the controls to be upwardly compatible, however, nearly all, even the older NC programs can be run on the new machines. "We have to make minor adjustments with regard to the formatting, and then they are ready to go", emphasises Michael Leibold. "That is naturally very convenient for us. But what we appreciate most is the precision and reliability of FANUC products. Because in order to achieve cost consistently high manufacturing quality, the availability of the machine and control is vastly important." Even if a circuit board fails or a motor begins to show weaknesses, the fault is generally quickly remedied. On the one hand, Leibold & Amann has a small spare parts and components warehouse with the standard amplifiers, motors, and control elements, in order to respond quickly in case of emergencies. On the other hand, the turned parts manufacturer can order spare parts online directly from FANUC. "That works really well. It can be somewhat more difficult for our oldest CNC models", remarks Michael Leibold. "Precisely because the FANUC components are very durable, sometimes spare parts are not available 24/7 – as is otherwise the case. But FANUC has always offered us a spare parts solution." Because Leibold & Amann uses FANUC controls almost exclusively, the company also trains its employees on FANUC systems. For this purpose, the company has the in-house FANUC training software NC Guide available. With its help, the entire machine is simulated on a PC. CNC programs are written on the computer and simulated before they are tested on a real machine. "It's extremely hands-on", says Michael Leibold, "as it allows our trainees to gain an experience with FANUC early on and almost effortlessly become familiar with the control." This medium-size company based in Wellendingen-Wilflingen near Rottweil, Germany, has stood for the production of high-precision turned and small parts for more than 75 years. Thanks to continuous improvements in production technology and quality assurance, the products fulfil the highest quality standards, which customers from the automotive sector, but also from electrical engineering and medical devices, have repeatedly affirmed through Preferred Supplier awards. The firm currently has roughly 180 employees. Annual sales are approx. 35 million Euros.